Hello! Here is the short instruction how to setup RTSP, ftp, telnet and http access to Ants Camera. 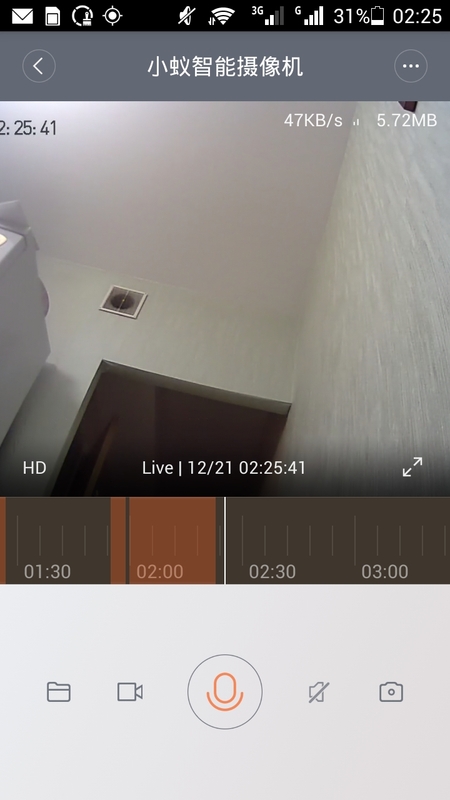 Also you will have correct onscreen time in archive videos and nice yellow marks for recorded pieces on time bar and correct rewind (last feature available only for Android users). If you got an Android, use this app instead default one: http://ge.tt/5l7Om3U2/v/1 to get correctly working rewind. You can find camera IP in your WiFi router admin interface - just look for a new client with "ANTSCAM-0000-xxxxx" name. Its a linux inside the camera so you can login to camera with telnet, change you password by "passwd" command and use many linux utilites if you know how. With rtsp working you can attach camera to qnap/synology, watch stream from you PC/Mac by VLC http://www.videolan.org or using alternative android clients like "tinyCam Monitor" and "IP Cam Viewer"
After this modification official app will still works as usual, mod just adding additional features. Is it possible to add authentification to RTSP fix/add-on? I want to use the camera on public internet, but need some sort of security. Now, Change the 10th line of the script to mytz=UTC+2:30. @Ajinkyajin : i also use IR china ver. To me M and N ver didnt work well with my cam. I can telnet but no rtsp. And the timeline too, it just wont record any detection. Everytg's working fine with L ver with rtspfix03 now. Thanks a lot for the file, but how can we set the time zone for "Half an Hour" differing time zones? For example GMT+3:30? 1) Yes, just login to camera by telnet and type passwd. Camera will ask you for new password twice. 2) Yes, you should look for camera IP address in you WiFi router admin interface. Camera client will have name like "ANTSCAM-0000-ba9732"
3) Yes, official app will works as usual. 1) Can we change the 'login' and 'pss' ? If can't, is it save? Since everyone using the same Login details. 2) So now I can use it with 'IP Cam Viewer' apps? 3) After this can we still access our Cam via the official apps? Wow what a such good news. i Hope it will works on my camera. Big hug and thumbs up for ur sharing.